The production of thick film elecroceramic films (10–100 μm thick) for micro-electromechanical system (MEMS) applications is of great interest due to the drive for miniaturisation, high power/sensitivity and system integration. 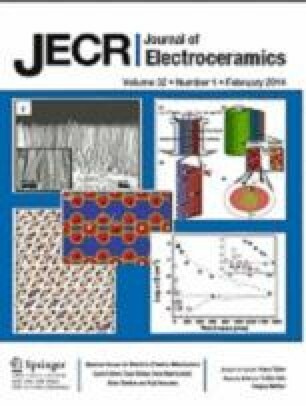 This article gives a review of a range of techniques for the deposition and patterning of oxide ceramic thick films for use in MEMS and microsystems. Issues associated with sintering of films on a constraining substrate (including the use of sintering aids) are examined with a view to maximising the densification of the films. For completeness, brief descriptions of the thick film patterning techniques and typical dielectric and piezoelectric properties are given. Due to the high piezoelectric properties of Pb containing electroceramics, and the drive for the use of silicon substrates, special attention has been given to the interactions that can occur between Si and Pb during processing of the elecroceramic thick films. Examples of Si/Pb system compatible electrode structures and diffusion barriers are given for completeness.